A new study reveals that the GHC's Ethiopian project to treat multidrug resistant TB (MDR-TB) achieved the highest success rate observed to date for any treatment program in Africa. Of 612 patients who had been in the GHC and its Zahara Children's Program for at least two years, 79% successfully completed the treatment, with 65% showing a laboratory-confirmed cure. "The result has set a new bar for the treatment of MDR-TB in Africa and other resource-limited settings," says Dr. Haileyesus Getahun, Coordinator of the TB/HIV and community engagement unit at the WHO Global TB Programme in Geneva, Switzerland. "This was possible through effective partnership between GHC and the government, and the provision of comprehensive care including community based social and nutritional support. The program represents a model that catalysed nationwide scale up of programmatic management of MDR -TB in Ethiopia," Getahun said. The 79% rate is well above treatment success rates reported for programs in other African countries, and exceeds the World Health Organization (WHO) target completion rate of 75%. This success came despite the challenges of extreme poverty, and a lack of drugs at the start of the program, as well as an initial lack of laboratory and supportive facilities. The results, published recently in the journal Thorax, show the potential of the GHC's innovative blend of intensive, collaborative, and supported treatment to deliver superior results, even in regions with severely limited resources and in patients with advanced disease. 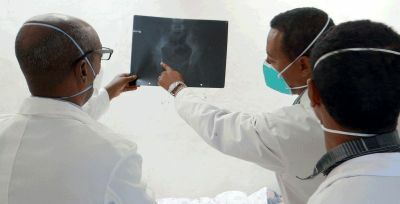 GHC initiated a countrywide program to treat drug-resistant TB in Addis Ababa at St Peter's Hospital in 2009, and in Gondar at the Gondar University Hospital in 2010. In collaboration with the Ethiopian Ministry of Health and the Cambodian Health Committee, the GHC introduced a multidisciplinary model of care for tuberculosis and HIV, previously developed in Cambodia. The GHC model includes a standard second line drug regimen, plus aggressive treatment of drug side effects, antiretroviral treatment for HIV infected patients, food supplements and financial aid for housing and transportation where needed. Today, more than 1,500 patients have received or are receiving treatment through the GHC-Ministry of health program. "This is amazing work of great scope and impact, which was achieved working in the poorest part of the world. Treating MDR TB is lab- and labor-intensive, but treating MDR TB well, as in this study, can have a hugely satisfying impact at a countrywide level," said Dr. Zarir Udwadia, a pioneering TB physician working in Mumbai, India, who first described the epidemic of totally drug resistant TB in that country and who is a member of the WHO TB Guidelines Committee. The British Thoracic Society, publisher of Thorax, recognized the study as a significant contribution to the field with the "Editor's choice" designation in its December 2015 issue. Dr. Anne Goldfeld, GHC president and co-founder, presented the paper at the Society's annual "Best of Thorax" symposium in December, in London. The program to treat MDR TB in Ethiopia was supported by grants to GHC and its Zahara Children's Program from Angelina Jolie Pitt and Brad Pitt and the Jolie-Pitt Foundation, the Annenberg Foundation, the Lilly MDR Partnership and the Lilly Foundation. Gifts to GHC from the Blue Oak and Frankel Family Foundations, and from Jeanne Sullivan also supported the work. 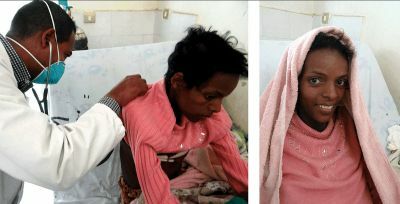 Funds from the Ethiopian Federal Ministry of Health supported the clinical and laboratory infrastructure at St Peters and UoG and the health centers. Achieving high treatment success for multidrug-resistant TB in Africa: initiation and scale-up of MDR TB care in Ethiopia - an observational cohort study.